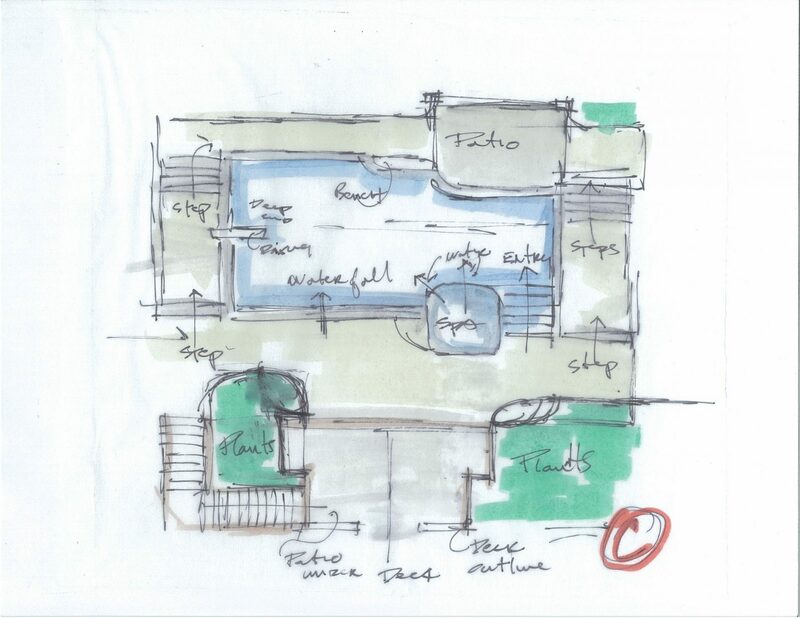 A recent project review involves a design for a residential pool and surrounds in the Winchester Area. The design was completed last fall, with the final project installed this spring and ready for use this summer! 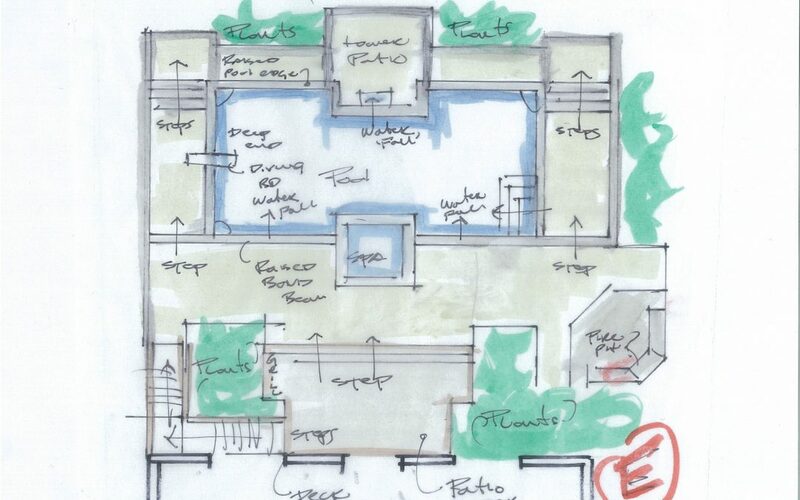 Our first step in a project like this is to develop a design ‘program’ after the client’s needs are understood and the site is studied (analysis). This is critical! Good design can only start once the client’s wishes are established, prioritized and a budget is agreed upon to achieve specific goals. Just as critical, is a thorough site analysis of the assets and limitation of the site in order to maximize its potential. Once the analysis is done the fun can begin! 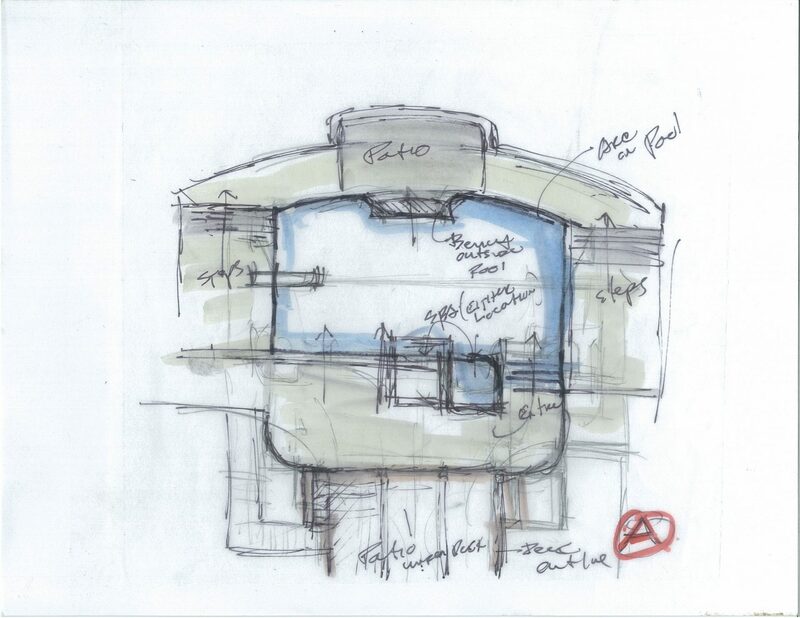 We start with a series of schematic sketches showing various options and exploring different possibilities. 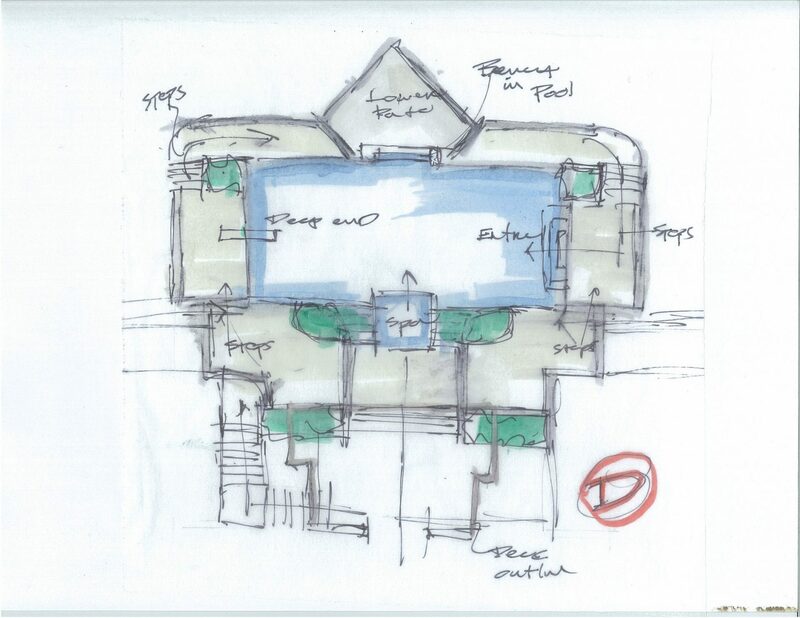 It should be noted that a final design is usually a composite of different aspects of the schematics. 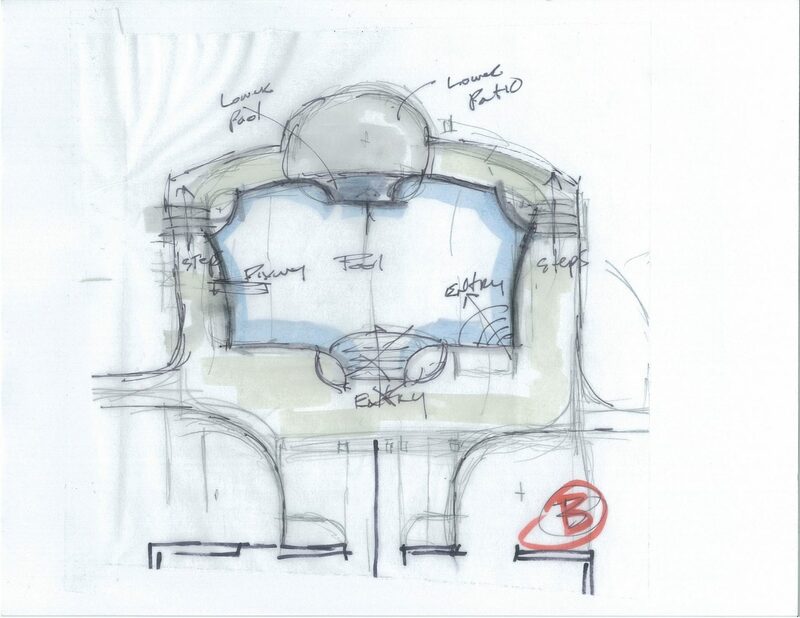 A client usually likes certain features on different sketches and would like to have them combined into one design. 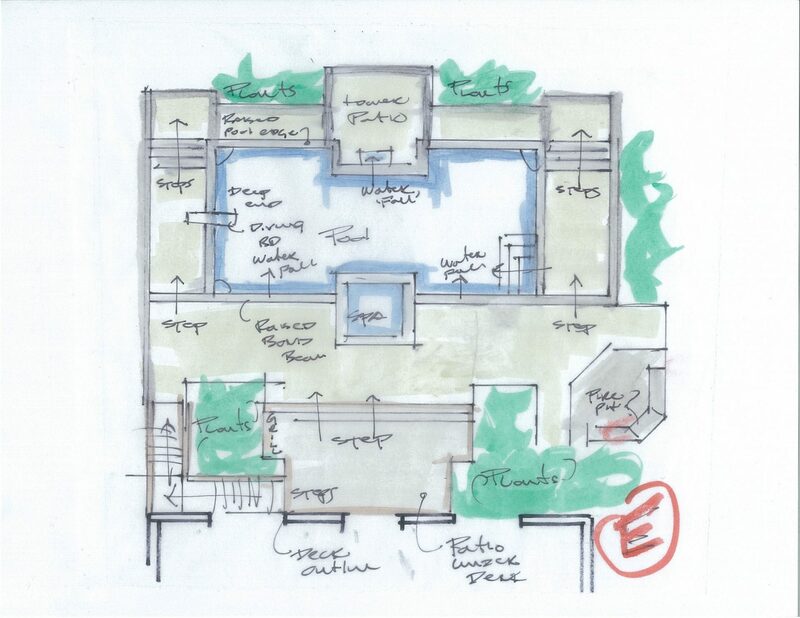 Below are simple schematics developed for this project, a series of quick sketches to get the creative juices flowing! I will follow up with the finished design, some construction pictures and then the final product in the next few blogs.